Students are encouraged to take part in external examinations like Olympiads, National Science Talent Search, Indian Association of Physics Teachers and Kishore Vaigyanik Protsahan Yojana Exams. Teachers are constantly at work to garner information on the latest teaching-learning processes through high-speed internet connectivity and educational resources. Latest volumes on all subjects are available for teachers’ reference. The language laboratory is used by the English, Hindi and Kannada/Sanskrit Departments to make language learning more effective and fun, using a number of word games, board games and audio-visual material. Listening and speaking skills are also tested here. The computer facilities are extensive and all students have access to sophisticated computers with the latest software. The laboratories are compartmentalised into three areas that can be used by students simultaneously on a one-on-one basis. The state-of-the-art laboratories with highly trained teachers help to impart computer knowledge from a very early age. This well-lit and spacious room is used for various activities such as yoga, music, dance and inter-house events. The three science laboratories are well lit and spacious. The chemistry laboratory has a fumigation enclosure, the physics laboratory has a dark room and the biology laboratory has a good collection of specimens. 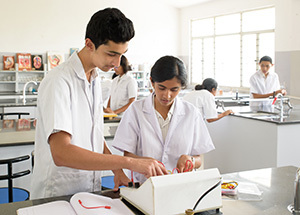 A composite laboratory is available to provide laboratory facilities for students of grades VI to VIII. 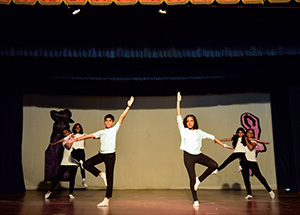 The full-fledged multipurpose auditorium is used for various activities like debates, quizzes, cultural activities, drama and musical events etc. Two state-of-the-art AV rooms - equipped with multimedia, LCD an overhead projector and other latest teaching equipment - are available. Guest speakers and faculty extensively use these facilities to give presentations and show movies. AV sessions help students understand concepts better and enhance learning. 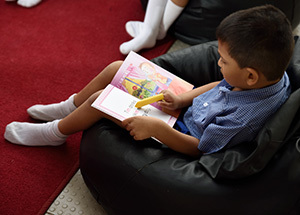 The school has a special cell with a professional counsellor to advise students who need help and attention. 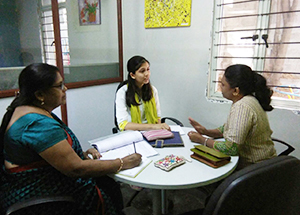 Professionals undertake career counselling for students, advising them on career choices after completing Grade XII. 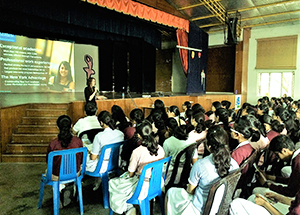 Experts in various fields are invited to talk to students to broaden their knowledge. 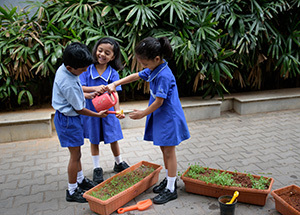 A separate play area and sand pit for children allows young ones to explore during play hours. 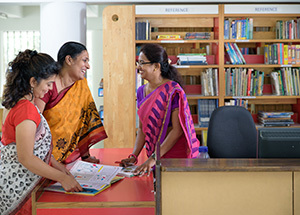 The library is the heart of CMR National Public School. It holds 21,000 volumes of fiction, non-fiction and reference books. The functioning is computerised to enable documentation, ease and speed. It houses five multimedia stations and a special area for the “Best Reader”.